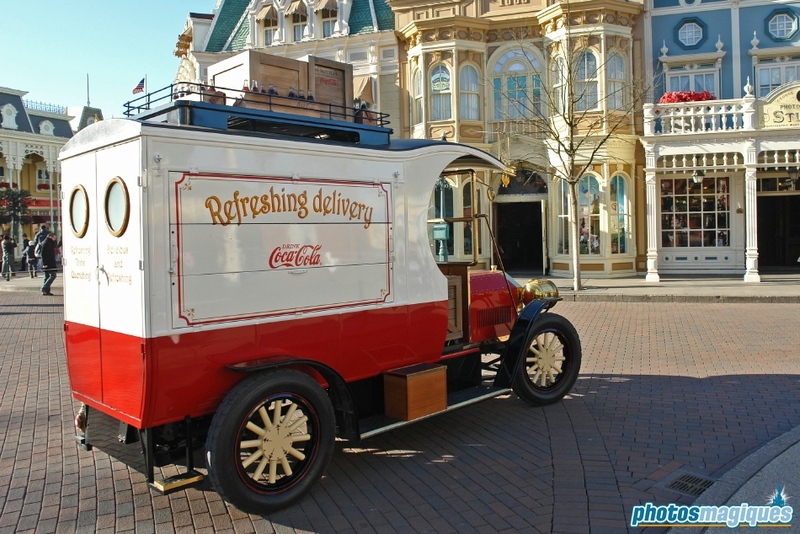 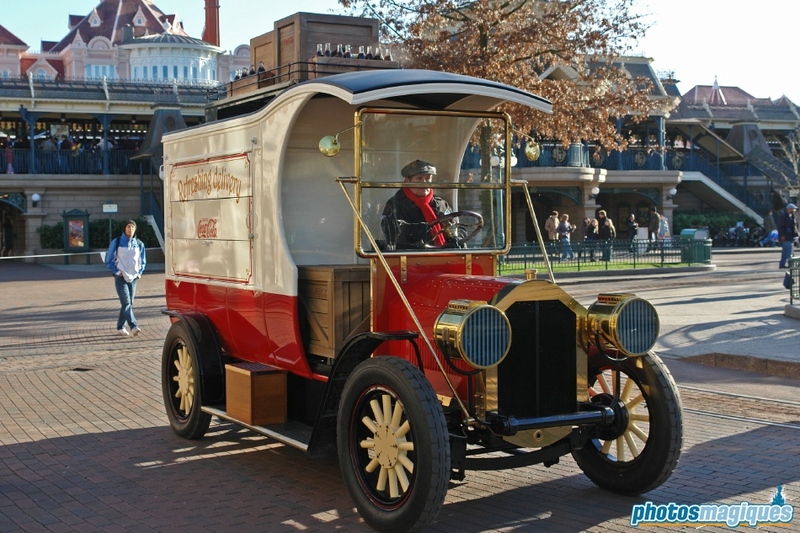 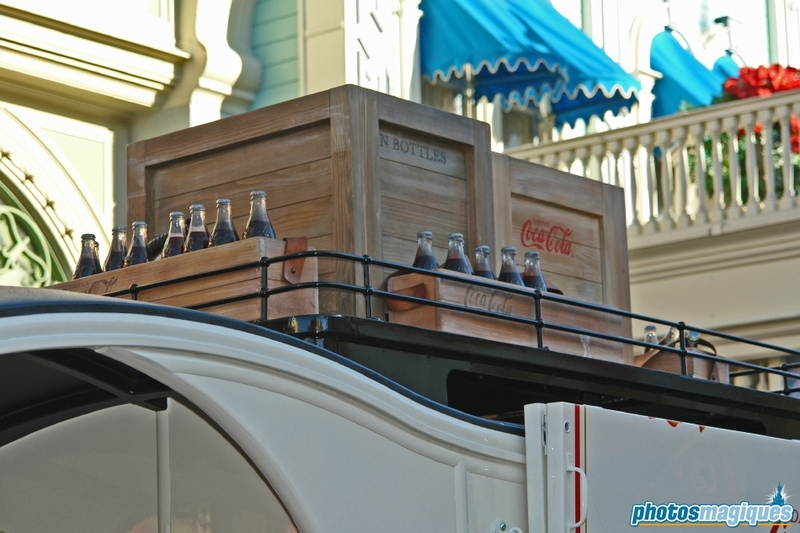 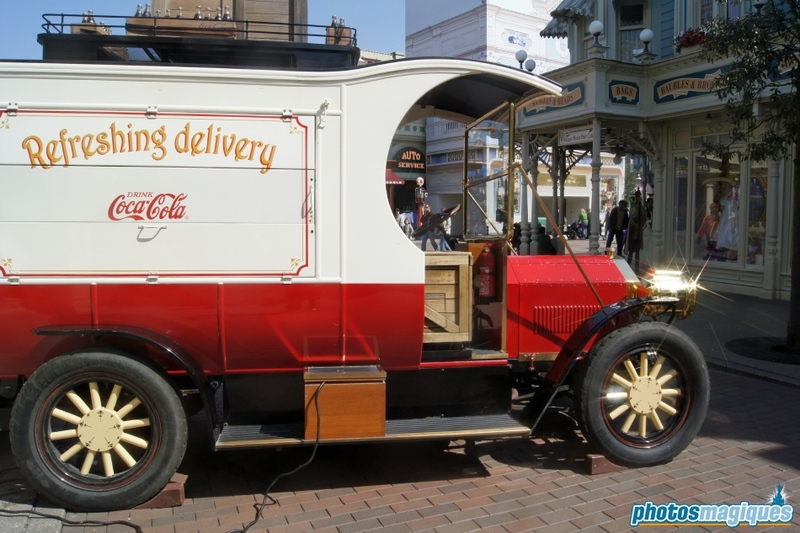 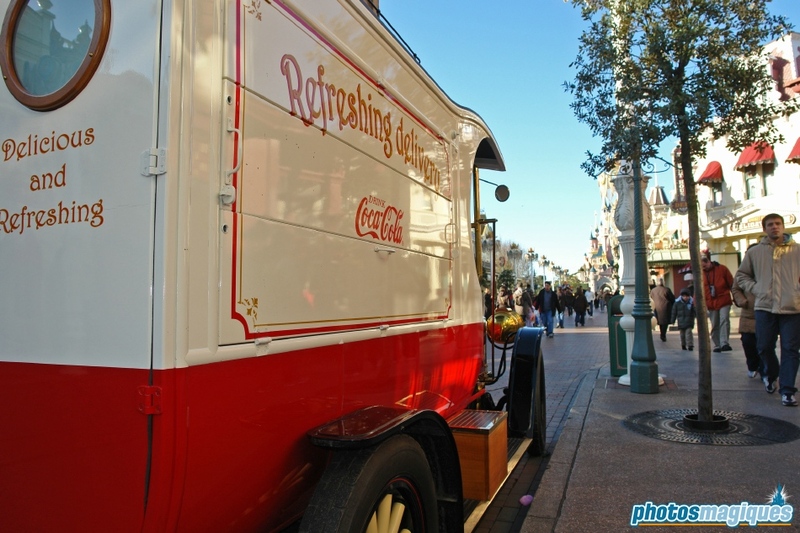 The Main Street Deliveries Truck is a turn of the century vehicle that’s often parked on Flower Street (between Walt’s – An American Restaurant and The Emporium). 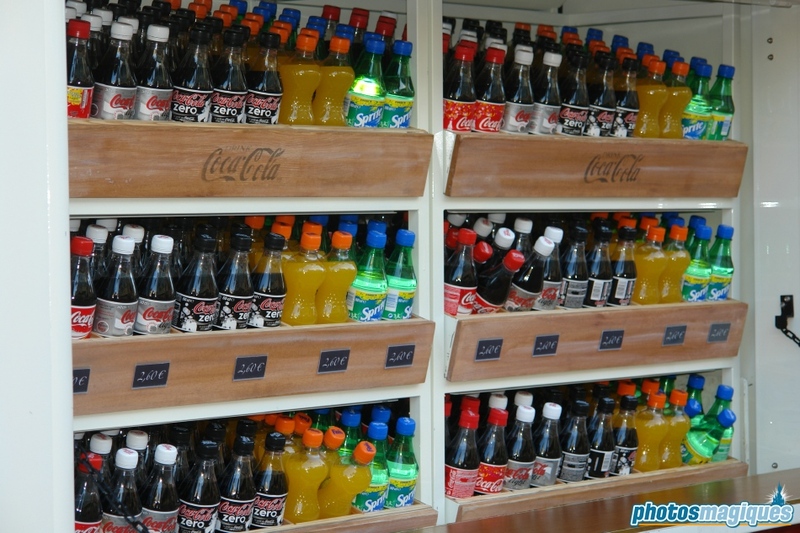 It sells chilled Coca-Cola products. 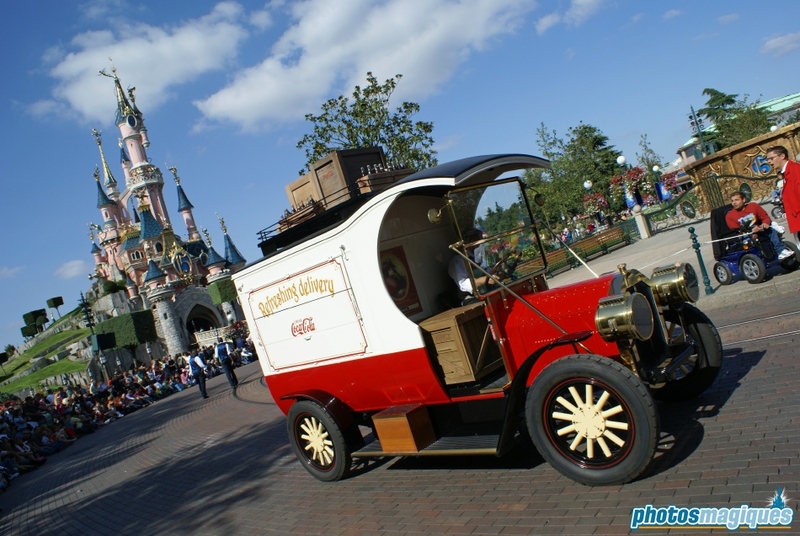 It was added to Disneyland Park in 2007 and is designed by Disneyland Paris Imagineer Barbara Wightman and was custom build in France. 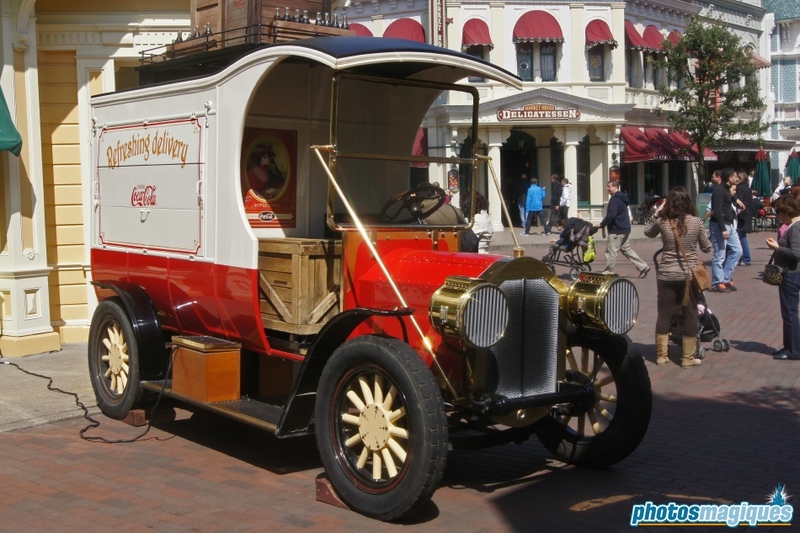 It’s based on the Ford T-model. 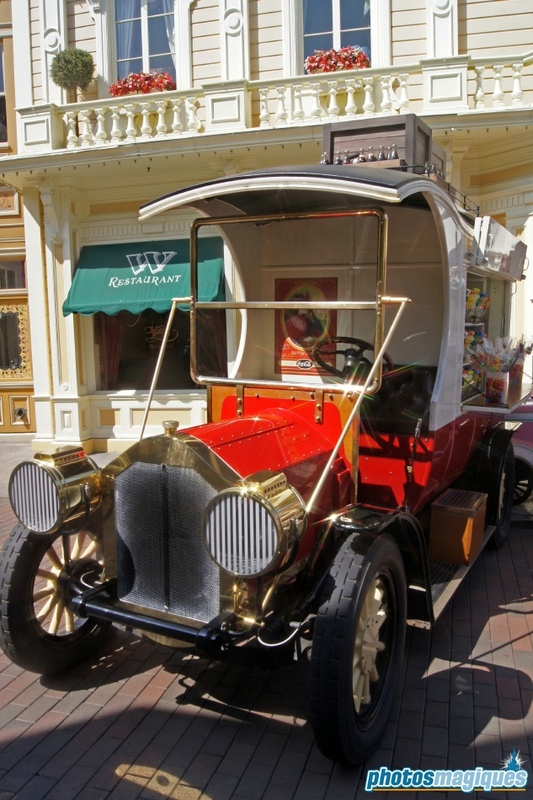 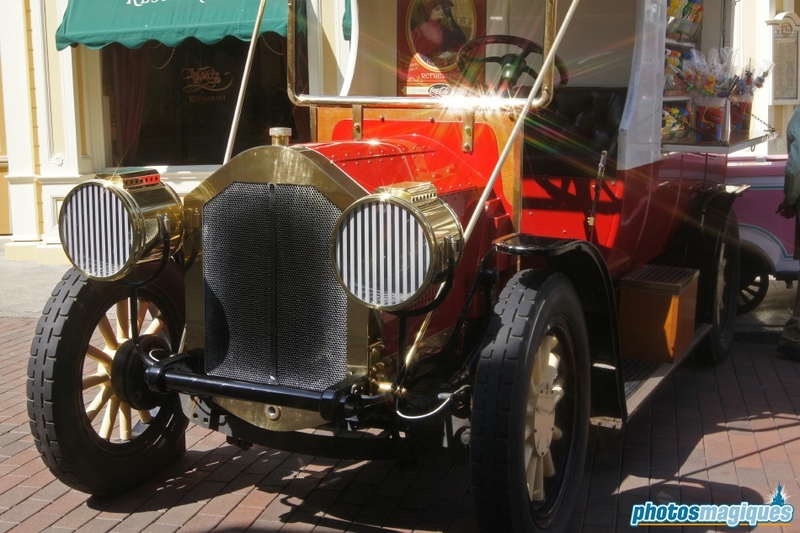 A similar vehicle existed in the original Disneyland in the early years of its existence. 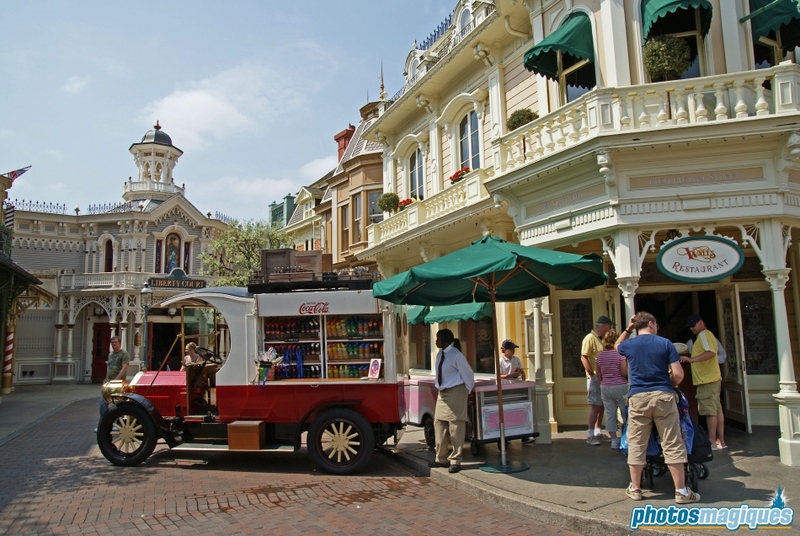 This is a great photo location on Main Street, U.S.A.!